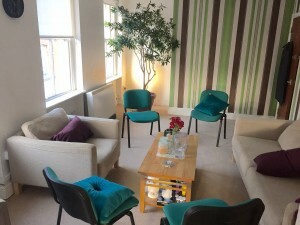 If you are a working psychotherapist and you’ve heard about Psychosynthesis, but don’t know much about it, or would like to deepen your understanding of it and how it can enhance your work with clients, then this experiential weekend is for you. Psychosynthesis is a fully-fledged psychotherapeutic model that has its roots in psychoanalysis, with a transpersonal dimension, a positivist emphasis, and ways of understanding the personality such as the theory of subpersonalities. There are about 50 psychosynthesis practitioners on the island of Ireland, who trained mostly in three colleges; the now-closed Eckhart House in Dublin and, in London, the Institute of Psychosynthesis and the Psychosynthesis Trust. However, its approach is also a very useful adjunct to existing models of psychotherapy, and it fits comfortably into the Humanistic and Integrative family. The course will be experiential, and is designed for only six participants at a time, who are willing to explore and learn in a collaborative way. Topics covered will include: The Spirit of Psychosynthesis – Subpersonalities – The Self – Love and Will – The Creative Use of Pain, Crisis and Failure – Psychosynthesis in Practice. The cost of this course is €150, (CPD certificates will be issued) and is based on six participants signing up. To book a place, a deposit of €50 is required by 21st August 2016. The balance is payable on the first day of the course. An early-bird booking discount is available: if you pay in full by 14th August 2016, the fee is €125. For further information about this course, and to book a place, please email me here. and you will be informed about all future courses. 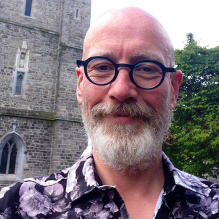 I am a member of the training staff in the Psychosynthesis Trust in London, and I also teach workshops on psychosynthesis for final year students of psychotherapy in the Tivoli Institute and the Dublin Business School. I also co-facilitated a successful 12-week course in 2012 on Psychosynthesis for psychotherapists. Students consistently report that the psychosynthesis approach is a useful one to experience having already done the “groundwork” of their core training, offering a positivist perspective on psychotherapy itself, as well as highly effective and easy-to-understand techniques. In 2017 I am joining the team teaching the Essentials of Psychosynthesis in London, which is a course designed for members of the general public wishing to explore psychosynthesis for the first time, and is a prerequisite for admission to train as a psychosynthesis therapist in the Trust, and it is also recognised by the Institute of Psychosynthesis in London. I am on the steering group for the Irish Psychosynthesis Practitioners Network, which organizes annual retreats and CPD days for its members. I was chairman of IAHIP from 2014-2016. Please see here for feedback that particpants on my courses have kindly offered about the work I do.